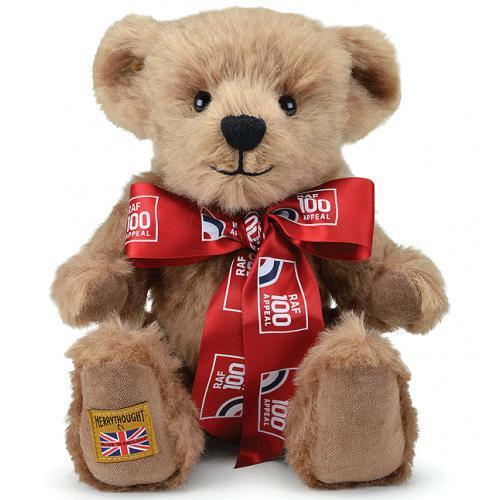 This special edition teddy bear is individually numbered, via a sewn in label on the left side of each bear and has been beautifully created by Merrythought, to celebrate the RAF centenary in 2018. 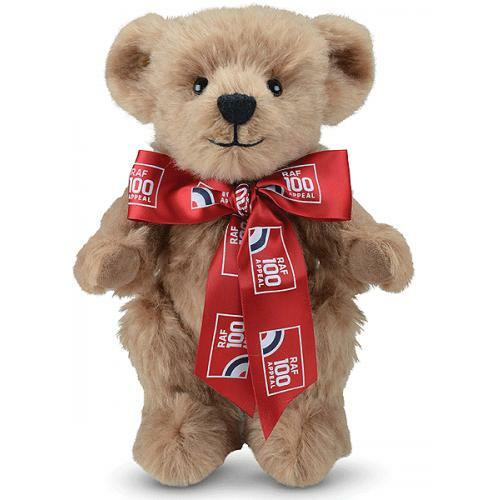 Hand-crafted from the softest pure mohair and cotton velvet, this delightful character features a friendly smile and a tactile, bean-filled tummy. 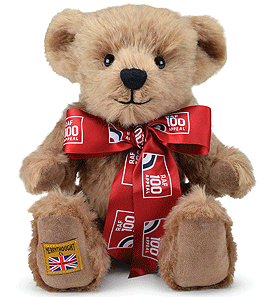 A removable luxury scarlet satin ribbon adorned with the RAF100 Appeal logo is the perfect finishing touch. 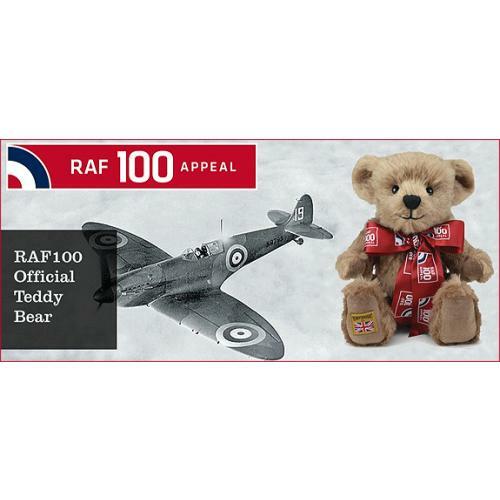 The sale of this teddy bear raises essential funds for the following RAF charities; The RAF Benevolent Fund, RAF Charitable Trust, RAF Museum and the RAF Association. Recommended for children over 36 months - please remove all accessories, ribbons and labels before giving to a child aged below this age.